Network Ten will launch a new standalone website Tendaily, with the TV network focusing on local content including a revamped Biggest Loser and the return of Russell Coight in its 2017 programming slate. Tendaily is set to capitalise on the growing demand for short-form content, with the “stand-alone, full-service, mobile-first website” offering short-form news, entertainment, lifestyle, sport and parenting content. It will draw on the resources of Network Ten as well as other content companies while offering native advertising opportunities to clients. The dive into digital content comes as Ten says it has grown its catch-up Tenplay audience by 14% to more than 24m – more than Australia’s population online – while the number of video segment views grew 26% to more than 220m. The large unique figure is due to the definition of unique visitors, which measures devices rather than people, meaning if a viewer watches Tenplay on a PC, iPad, iPhone and Apple TV, they are counted as four unique visitors. Meanwhile, Ten has unveiled its programming slate, which McGarvey said will “offer clients a consistent schedule for the whole year”. The return of The Biggest Loser comes after a 12-month hiatus during which the show has undergone a transformation which has seen the departure of trainers Michelle Bridges and Steve ‘Commando’ Willis. The Biggest Loser: Transformed will be hosted by Fiona Falkiner with trainers Shannan Ponton and Libby Babet and will see a group of Australians tackling “relatable weight issues and undergoing transformations of their bodies and minds”. “One of the really interesting things about Biggest Loser is it occupies a genre space that no one else does. It’s in that health and well-being vertical and nothing else on television in prime-time really services that,” said McGarvey. “It’s a very long-term brand that has a lot of brand recognition. We’ve reinvented it and made it more contemporary for how people really live today. Previously Biggest Loser operated in a particular spectrum of people’s health, and what the new version will do is have more relatable talent. McGarvey said the show will also feature a live finale in which the audience will be able to vote on the winner. “A live finale is very appealing in the current environment,” she said. The show will be supported with a new companion app that aims to help all Australians “transform their lives”. “As a viewer you can play along with the series, you can follow the exercises and the diet and give yourself a total transformation if you’re up for it,” McGarvey said. “We think this is the right time for Loser to have a transformation, but I wouldn’t say that it would be its last chance. “Many shows have come and gone and tried to fill that space but not been as successful as Loser. It really does have value, but it’s the question of getting the tone right, getting the talent right, lining up the 500 elements you need to get something to work. Amongst the new programming is all-new episodes of comedy Russell Coight’s All Aussie Adventures which sees Glenn Robbins play Coight, a survival and wildlife expert. The series last aired in September 2002 with a telemovie in 2004, however McGarvey is confident the series is “timeless”. “That show hasn’t been on for 15 years and there’s a real gap in the market in terms of commercial television for early evening comedy,” she said. “The Working Dog team do a great job, Glenn Robbins is a very accomplished performer and we’re confident that (the show) will be something that really appeals to people. “Though it was a long-time since it was on-air the fact that it really occupies that family entertainment, physical comedy space is something that is really attractive, there’s a whole generation of people that don’t have that content to watch. Alongside these programs familiar to audiences will be fresh local content with two new dramas Wake In Fright and Sisters and from the makers of Gogglebox, Common Sense. Wake In Fright, an adaptation of Kenneth Cook’s Australian novel, will tell the story of John Grant, a young school teacher who descends into his own personal nightmare after being stranded in the small outback mining town of Bundanyabba. McGarvey said Wake In Fright is “very different” to the rest of the programming slate. “It’s very dark, it’s a contemporary thriller. It’s quite edgy and will appeal to more of a male-drama audience and that’s really important that we offer scripted content that appeals across the board and we don’t just appeal to female viewers, that’s important to our advertisers,” she said. Sisters, from the makers of Offspring, will ask the question of what the difference is between being related and being family and features a cast of Barry Otto, Catherine McClements, Lucy Duark, Maria Angelico, Antonia Prebble, Remy Hii, Dan Spielman, Charlie Garber, Roy Billing, Zindzi Okenyo and Magda Szubanski. Common Sense, like Gogglebox, is a co-production with Foxtel’s Lifestyle Channel and will feature a cast of real people and their opinions as they round up the week’s most talked-about news topics. The new local content will be complemented by new overseas content, including 24: Legacy, a spinoff from 24 and starring Corey Hawkins and Miranda Otto. Other US content includes This Is Us, a series which follows a group of people, some born on the same day, as their paths cross; Bull, a drama inspired by the early career of Dr Phil McGraw; Man With A Plan which stars Matt LeBlanc as a father who spends more time with his kids when his wife goes back to work; and, Doubt, starring Katherine Heigl as an attorney who falls in love with her client who is a murder suspect. As expected, Masterchef, The Bachelor and The Bachelorette will also return with the shows set to have no major changes only “10 degree shifts”. “We take the development of Masterchef very seriously. People love it the way it is but love to see some change as well, we will make some small degree changes, a shift you may not notice, they’re 10 degrees not 90 degrees,” she said. On The Bachelorette, McGarvey said Ten is happy with the most recent season’s ratings performance despite it being lower than last year’s audience delivered by Sam Frost. 2016’s finale of Ten’s The Bachelorette saw 972,000 tune in for the final decision, down on the 1.52m for Sam Frost’s final choice. “Realistically, what Sam Frost as The Bachelorette did was provide a phenomenal number. Generally, in other markets The Bachelor is the main brand and The Bachelorette doesn’t do so well,” McGarvey said. Also returning next year is I’m a Celebrity…Get Me Out of Here!, Australian Survivor, Gogglebox Australia, The Wrong Girl and Offspring. Offspring returned this year after a two-year hiatus and when asked if there was an end in sight for the drama series, McGarvey said there was “enough story” for the show “to keep going and going”. “Drama is always commissioned one season at a time, the question of how long is it, is: how long is a piece of string?” she said. “There’s no finite end for it, that is always the case with drama. Ten’s Have You Been Paying Attention?, The Project, Shark Tank, Family Feud and spin-off All Star Family Feud and The Living Room are also set to return to screens. The returning local content will be supported with returning international content including NCIS, NCIS: Los Angeles, NCIS: New Orleans, Modern Family, Law & Order: SVU, Madam Secretary and Life in Pieces. Ten’s Great Australian Spelling Bee is not returning to screens next year after two seasons; however, McGarvey said Ten hasn’t canned the show completely. “We’re quite proud of Spelling Bee, we’re of course quite disappointed with the numbers. We think presenting children with a show that shows being smart is just as good as being a good dance or singer is really important and appeals to a different segment of the audience,” she said. “It’s a very tough time slot, we’d like it to do better. We’d say it’s definitely not gone for good, we might try to find a way to reinvent that show and capture the essence of what people liked about it and do something different with it. “We haven’t commissioned it for next year but we are working on plans that see if there is any way we can do something with it. The show, which pulled in 921,000 metro viewers in its first season premiere was down to 456,000 on debut for the second season. Ten kicks off its summer of cricket on December 20 with the return of the KFC Big Bash League and the Rebel Women’s Big Bash League. The schedule will see 35 matches played in 40 days with all 35 to be broadcast on Ten or One. Australian cricket legend Andrew Symonds, current Australian cricket team coach, Darren Lehmann, and former New Zealand cricket captain, Brendon McCullum, will join Network Ten’s commentary team this summer. Symonds, Lehmann and McCullum, as well as returning crowd favourite, Kevin Pietersen, will join regular expert commentators Adam Gilchrist, Ricky Ponting, Mark Waugh and Damien Fleming to complete the line-up in the commentary box. Earlier this year, Ten announced that presenter Roz Kelly will return to Australian television to co-host the broadcast alongside Adam Gilchrist. Network Ten executive, Big Bash, David Barham, said: “The addition of Symonds, Lehmann and McCullum to Network Ten’s commentary team ensures that our coverage of the KFC Big Bash League will continue to be a first-class television experience for fans of all ages. “Network Ten has the most exciting and contemporary cricket commentary team. To have the current Australian coach in the commentary box for the KFC Big Bash League is unprecedented for fans around the country and something that we are very much looking forward to. Ten will also broadcast 12 matches of the Rebel Women’s Big Bash League including four of the matches that launch the 2016-17 season from Saturday, December 10. Mel Jones and Lisa Sthalekar will be back as commentators along with Andy Maher. 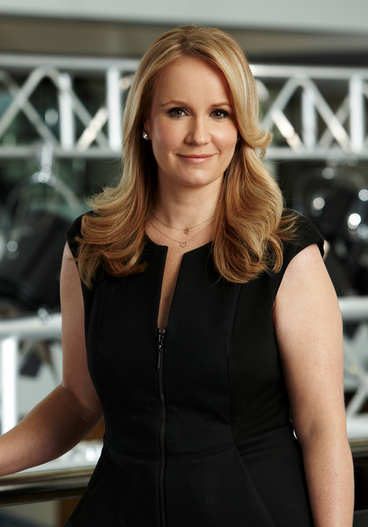 Ten’s sport offering will also include the Australian Formula One Grand Prix and other key Formula One Races, several MotoGP races – including Philip Island, magazine show RPM and the Supercars Championship events including the Supercheap Auto Bathurst 1000. Ten will also present three matches of the June rugby Test Series, all of the Wallabies’ matches in the Rugby Championship and a third match against New Zealand. The network would not be drawn on if it was involved in the negotiations for the broadcast rights to the A-League. Great post 7.30 pm line up. very very brave to do Wake in Fright (with Nicolas Roeg’s Walkabout and Jedda) one of Australia’s best movies. Tough gig without big time 6.00-7.30 news block ,and weekend Winter Sport, for promo purposes. MCN IP a logic that is about time for this industry. Need to inch up cross promotion to get proper revenue yield per $ of programming. Reminds me of the days when there were 133m uniques using the Internet in Australia. Surely a number of 24m is something that should ring alarm bells in your measurement if you are trying to gauge your audience and not something to publicise!